The In-House Lawyer Awards winners were announced last night, women notably dominating. Telstra group general counsel Carmel Mulhern took out the Corporate Lawyer of the Year award; assistant secretary and chief lawyer, Indigenous Affairs at the Department of Prime Minister & Cabinet Marian Moss was named Government Lawyer of the Year and Young Lawyer Achiever of the Year going to assistant general counsel at Carnival Australia, Lauren Miller. “The fact that the majority of the awards are being taken home by women is outstanding,” said newly appointed Association of Corporate Counsel president Gillian Wong. Women also dominated the teams categories, with two of the three winning teams, Telstra and Cummins, both led by women. “It is wonderful to see women breaking through the glass ceiling to achieve so much in the legal sector,” Wong said. 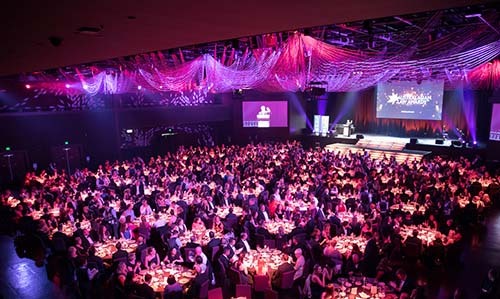 “These awards highlight the in-house environment in Australia as a sector of the legal profession that is clearly attracting the highest calibre of talented professionals. Wong noted that 40 per cent of in-house teams expect to increase in size this year, the in-house profession continuing to be a popular career move. “This reflects an increased complexity of legal work performed by in-house counsel and demonstrates the value that in-house legal teams are providing to their businesses,” said Wong.